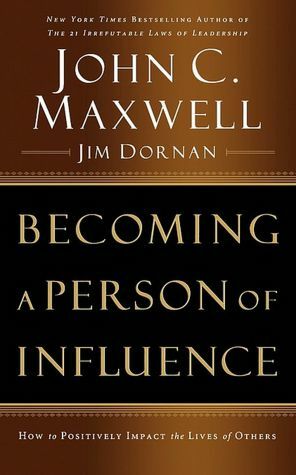 Influencing Others by Understanding the Process is a brief overview of the model presented in the book, Becoming a Person of Influence by John Maxwell and Jim Dornan. Everyone has influence. You don't have to be a high-profile leader to be a person of influence. You are an influencer if your life in any way connects with others. Influence is an interesting concept. You can be a person of influence; however, your level of influence is not the same with everyone. There are certain people who respond to your influence and there are others who do not. For example, you may make some suggestions in your work place. Some of your colleagues are inspired by those suggestions and others are skeptical. Yet when your boss makes the same suggestions, those same people think the boss' suggestions are great. That just shows your influence with those people are not as strong as that of other co-workers. Influence is not instantaneous. Influence grows by stages. Influencing others by understanding the process is an explanation of these stages of influence. People are first influenced by what they see. Often people follow what they see you doing. Children are a prime example. It doesn't matter what you tell children to do, their natural inclination is to do what they see you doing. If your walk matches your talk, then you will have greater influence in the lives of those people around you. And the more they get to know you, the greater your credibility will be and the higher your influence will become. Influence begins with modeling. People do what they see you doing. Modeling is a powerful influence - either bad or good. You can model from a distance but if you want to truly influence someone, then you need to work up close with that person. And that brings you to the second level of influence, which is motivating. When you encourage people and communicate with them on a personal level, you become a motivational influencer. Two things happen: You build a bridge between you and them and you nurture their confidence and sense of self-worth. When people like to spend time with you, then your level of influence grows significantly. When you spend time with someone, you start to impact their lives. However, to increase your impact in their lives, you need to step up to the next level of influence, which is mentoring. Mentoring is investing your life into other people in order to help them reach their potential. In other words, you are helping them to grow personally and professionally by moving them to a whole new level of living. Multiplying is the highest level of influence you can have in a person life. Multiplying is when you help people to become positive influencers in the lives of others. In other words, the people you mentor have now become mentors to others. They have taken what you have taught them and now they are teaching others. Not everyone reaches this level; however, everyone has the potential to do so. You can be a model to the masses but to reach higher levels of influence, you must work with people on a personal level. Of course, it takes time and commitment to work with people on a personal level. However, the results are definitely worth it. For more information about this subject, click on influencing others by understanding the process.